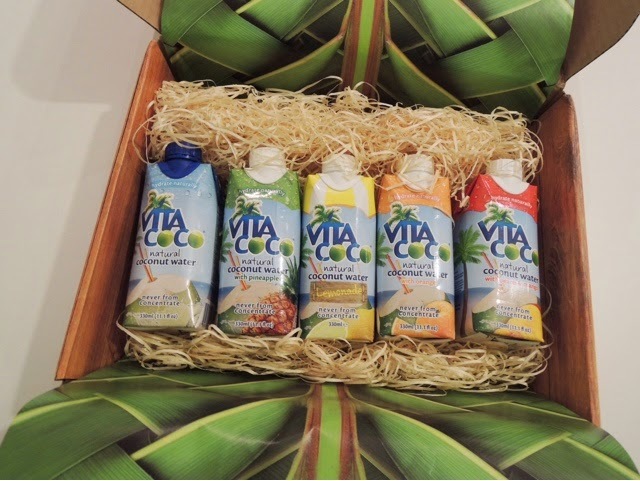 So how happy was I when this arrived Vita Coco* package arrived through the post last week!! This is definitely the best packaging I have received...makes me feel like I should be abroad somewhere hot! I've been drinking this all summer and looking out for the deals in the supermarkets when they are on offer for £1 each in Tesco, Asda or Waitrose. However I have only ever tired the coconut and coconut with peach & mango flavour so the other 3 are all new to me! 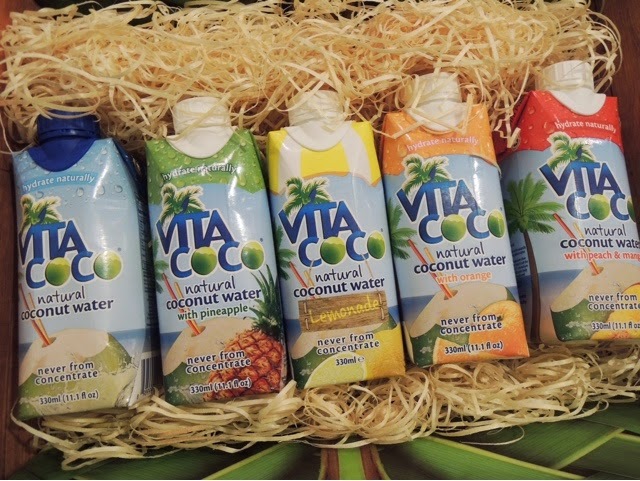 So in summary Vita Coco's all natural, super hydrating, cholesterol-free, fat free, nutrient packed, potassium stacked, mega electrolyte coconut water! I have seen a lot of people use the coconut one for making smoothies / cocktails for that extra flavour / kick. I will be taking these to for my train journey today...one a day for the rest of this week! im not sure which one i tried but do not like coconut water. i really want to enjoy it but its not for me unfortunately. thanks for the post though. Chie!!! If you are not a fan you must try the flavoured ones they taste amazing especially the peach with mango! I was just saying in my comment above you must try the mango & peach one! Delicious! I wish I did love coconut water but I don't! :( I might give the flavoured ones a go though. 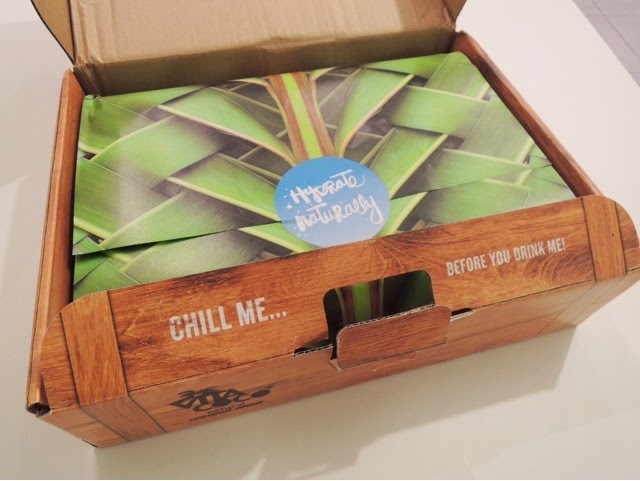 Amazing packaging!! Hey Chelsea, if you are not a fan of coconut then def try the flavoured ones! Yes they are key for rehydrating and great for making smoothies!